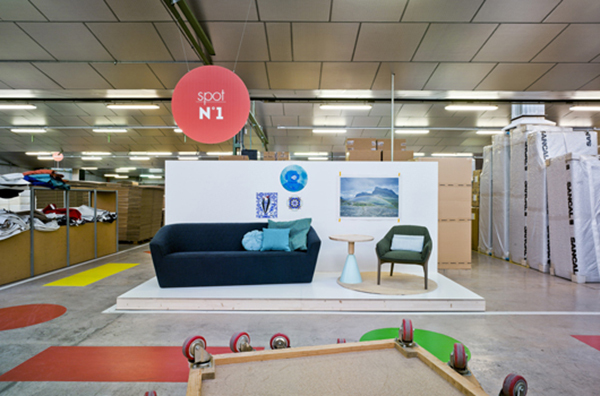 For 40 years, Spanish manufacturer Sancal has been assisting spaces around the world to reach their full potential of style and comfort by providing high-quality, well-designed furniture pieces and after forty years they’ve set their sights on themselves – redesigning the factory to include small showroom areas and commissioning large scale murals by various artists, designing dining rooms and new "spots" throughout the space! 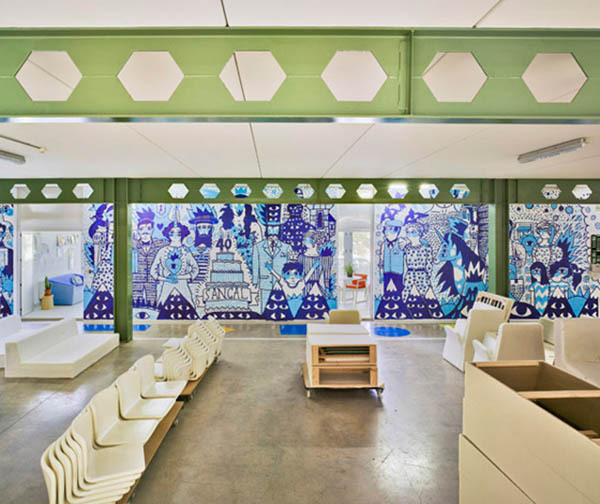 focus attention on the little actions and objects that enable large things to be made. 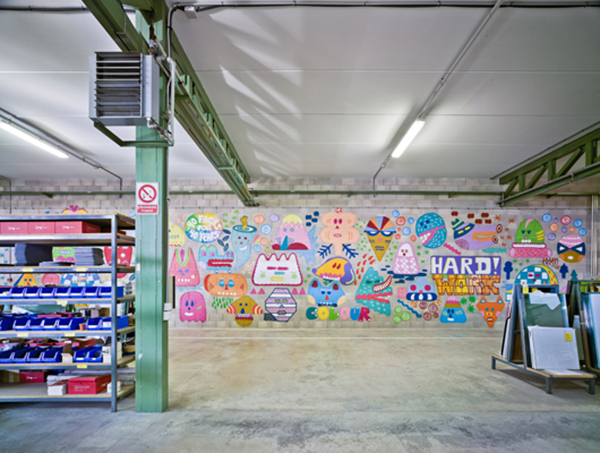 Three incredible murals, fun signs and four micro-showrooms have been dreamt up to brighten our worker’s spaces and communicate just how central design is to our philosophy. 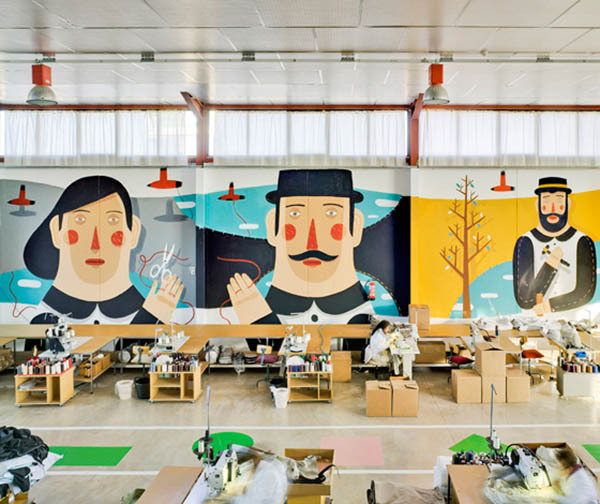 The incredible mural of Agostino Iacurci represents the dignity and knowhow of the artisan, while presenting traditional European industries as heritage to be conserved. 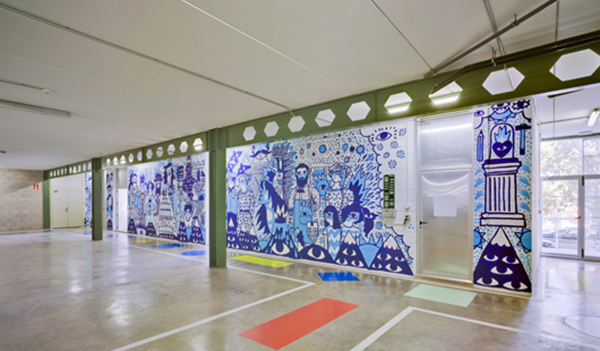 The circus-like figures of Ricardo Cavolo remind us that we are large family worth celebrating. 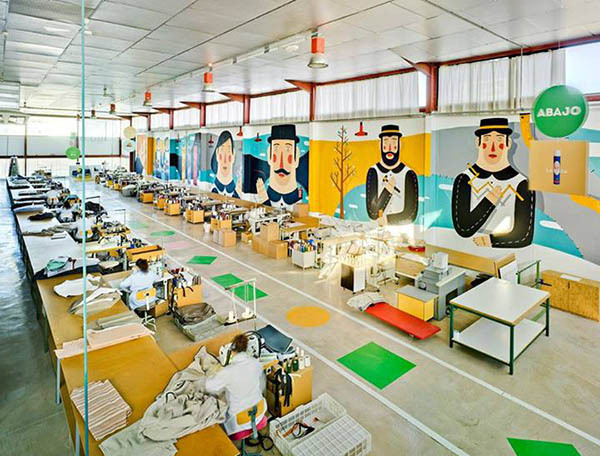 The forty masks of Zosen show the passage of time, the face of success and failure, happiness and the problems that we face on a daily basis. 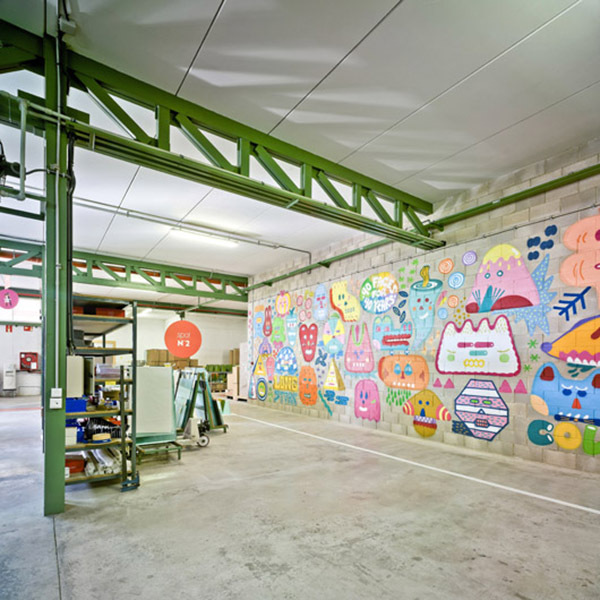 A grey brick wall, traditionally used as glass support and warehouse, is now a stunning colourful wall which celebrates the passage of time while brightening up the lacquering and assembling employees’ every day by Zosen. 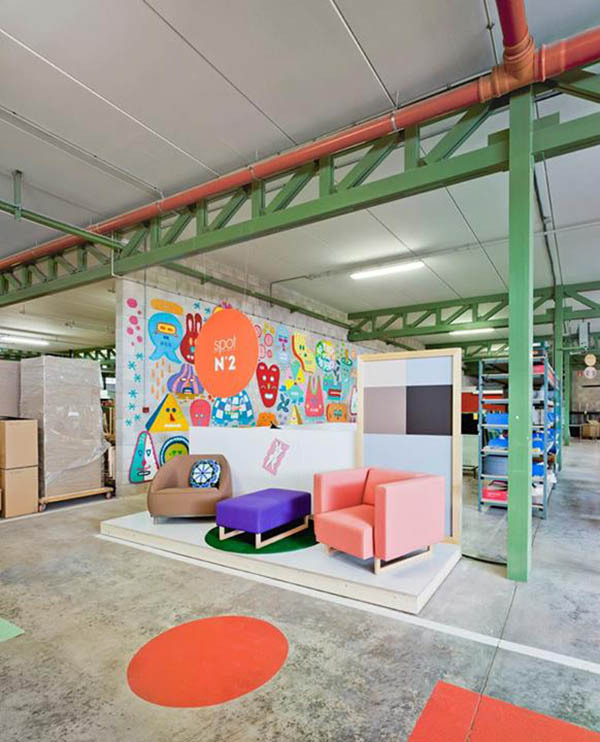 A passionate heart, a cash register, some little devils, an ice-cream cone, an igloo, a hamburguer, some pyramids and vegetables are only some objects created by Zosen and which express the various stages and moods experienced by the company along its history. 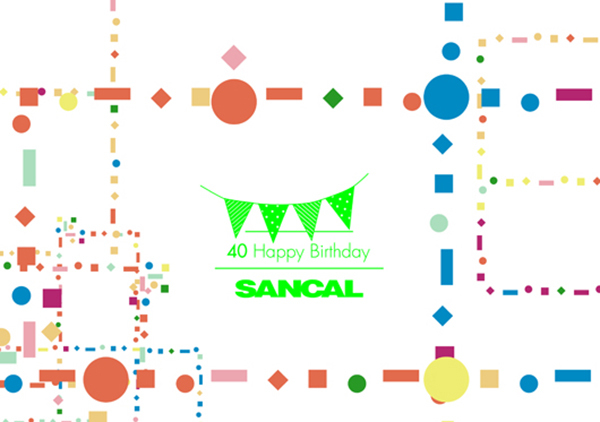 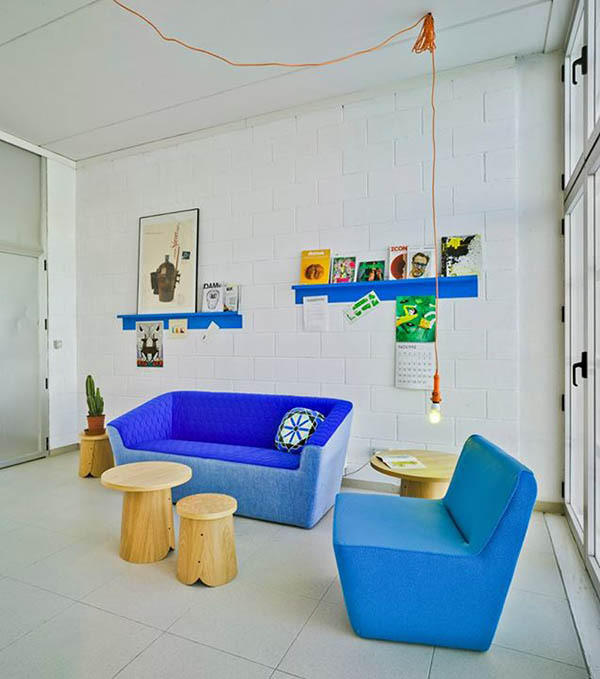 Not only do we wish Sancal a very happy birthday, and many happy returns; we also celebrate their new space! 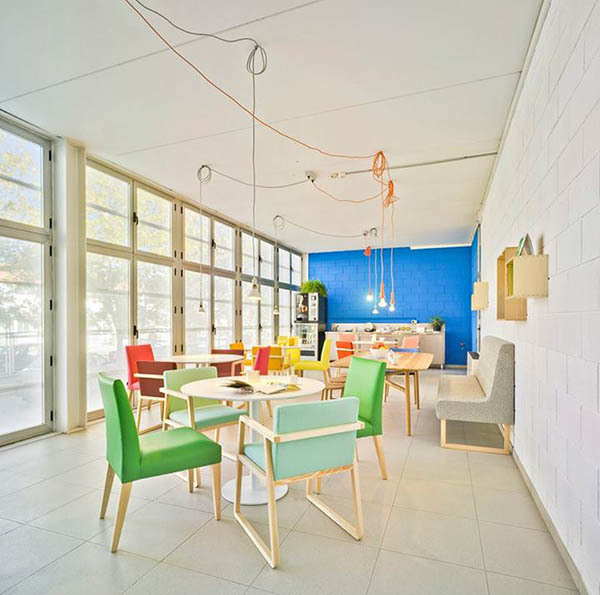 Well done Sancal!